Self confidence: it’s essential. We are convinced we are able to do it, that we ill succeed, and of course we do. Optimism: we don’t se difficulties as obstacles but as opportunities. We enjoy overcomming them. I’d even say we look for them intead of trying to do it the easy way because it’s much more motimating. Enjoy the present: we don’t wait to achieve a goal to enjoy what we’re doing. We enjoy the journey, we are delighted by every thing we learn, every little achievment, every success, without focusing on what we don’t know nor on what’s left. Feeling amazed and curious: we’ve kept a child’s mind and we are able to feel enthousiastic about anything: pronouncing new sounds and words, listening to songs in another language, dicovering it’s culture, etc. Enjoying the unknown and difference: instead of being affraid of what is different, we feel a magnatick attraction. Talking another languages not only allows us to discover a new way of seeing the world and of expressing what we know, but it also makes us go beyond our own limits, discovering new aspects of our personnality and redefining our identity. A playful spirit: learning is still a game for us. Speaking another language is a bit like imitating someone else. All actities we choose will be a source of fun. Self-mockery: we’re not affraid of making the full or making mistakes. We often are the first ones in making fun of ourselves. Autonomy: we want to do things by ourselves, we like to try things out. We don’t rely on others. We are actors, often self-taught, because we know that no one can know what’s good for us better than we do. Although we also look for experienced people who can give us good advice and ressources if we think we need it. Self-motivation: our motivation to learn doesn’t rely on external factors or on others. It comes from us. That’s why it’s strong and it makes learning much more effective. Communication and understanding: it’s more important than anything else. We’ll try tu use the language as a tool as soon as possible and to make it ours. Tolerance to ambiguity: it’s not a problem if we don’t understanf everything. We won’t hesitate to ask questions and to use different strategies to understand and to make us understand. As you can see, those specificities are not direcly related to language learning and we could use them in other fields. They are not related to intellectual capacities either. 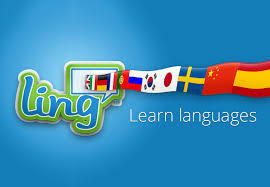 They are elements that young children naturaly have and that they’ve used to learn their mother tongue. I’m convinced that we can all recover them and develop them if we want to. Previous Post The right moment to start a language is right now!